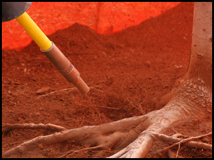 We see the evidence of improper tree installation each time we excavate with the air spade. 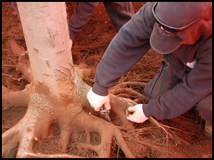 Many customers will use air spading as a way to prune girdling roots or loosen compacted soil. DTS is one of the few who routinely use Air Spading and Mechanical Root Pruning Equipment.